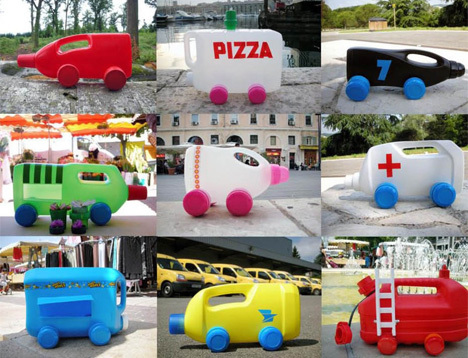 We just spent a couple minutes zoning out to Martine Camillieri's prolific collection of Camions-bidons (bottle trucks). What about children learning how to play with solvent bolttles? ?